126 riders making up 38 teams have entered the 2016 Motocross of Nations being held at the famous Maggiora Park circuit in Italy over the weekend of the 24th and 25th of September and as you would expect, the most anticipated motocross event in the world is set to be a dead-set cracker! The Motocross Of Nations is an event like no other and every year since 1947 over 100 riders from all over the world meet at one venue to represent their country and see which nation is the best in the motocross world but here is the kicker, in 2016 the host team of Italy with Antonio Cairoli as captain has absolutely no chance of being the champions and it is likewise for Germany with Max Nagl and Slovenia with Tim Gajser. One great rider does not make a winning team so which teams do have a chance of standing on top of the podium when all three motos are completed? First place in each class equals 1 point, second equals 2 points and third equals 3 points and so on. It is the team with the LEAST amount of points that wins. There are three 35 Minute motos – Moto1: MXGP & MX2. Moto 2: MX2 & Open. Moto 3: MXGP & Open. Each team has three riders riding two motos which equals six points scoring rides. Each team dumps their worst results with the final points calculated from the best five rides. The MXGP class is filled with the team leaders and potentially the best rider on each team but when push comes to shove there are really only five riders who have what it takes to win a moto or the class this year and they are 2015 MXGP Champion Romain Febvre (France), multi AMA Supercross and Motocross Champion Cooper Webb (USA), multi World Motocross Champion (and local hero) Antonio Cairoli (Italy), 2015 MX2 World Champion and 2016 MXGP World Champion Tim Gajser (Slovenia) and multi GP winner Max Nagl (Germany) while Kevin Strijbos (Belgium), Glenn Coldenhoff (Netherlands), Tommy Searle (Great Britain), Valentin Guillod (Switzerland), Todd Waters (Australia), Cody Cooper (New Zealand) and Kaven Benoit (Canada) will be battling hard to keep themselves as close to the leading pack as possible. OPEN: The big interest in the open class is three time MX2 World Champion Jeffrey Herlings on the KTM450SX-F and many would have you believe that the young Dutch star has the measure of his fellow riders in this class but multi GP winner Gautier Paulin (France) is a proven MXoN moto, class and championship winner while Jason Anderson (USA), Clement Desalle (Belgium), Shaun Simpson (Great Britain), Evgeny Bobryshev (Russia) and Dean Ferris (Australia) all have the speed and determination to be at the pointy end of this field. Hamish Harwood (New Zealand), Tanel Leok (Estonia), Arnaud Tonus (Switzerland) and Tyler Medaglia (Canada) will be the best of the rest and will play a key role in their teams overall placing on the day. Even though the MX2 class looks stacked there is only a handful of riders who can win this class and they are 2016 Vice World MX2 Champion Jeremy Seewer (Switzerland), AMA Motocross Championship number two Alex Martin (USA) and multi GP winners in Max Anstie (Great Britain) and Jeremy Van Horebeek (Belgium) while the likes of Benoit Paturel (France), Brian Bogers (Netherlands), Jed Beaton (Australia), Josiah Natzke (New Zealand), Shawn Maffenbeier (Canada), Harri Kullas (Estonia), Henri Jacobi (Germany) and Vsevolod Brylyakov (Russia) will all be battling hard throughout their two motos to finish as close the front as possible. Just as a point of interest, the last time Maggiora hosted a round of the World Motocross Championships was in 2015 and it was Romain Febvre who won the overall in the MXGP class ahead of Kevin Strijbos and …. Wait for it …. Todd Waters!! For what it’s worth Tim Gajser won the MX2 overall from Herlings and Seewer. 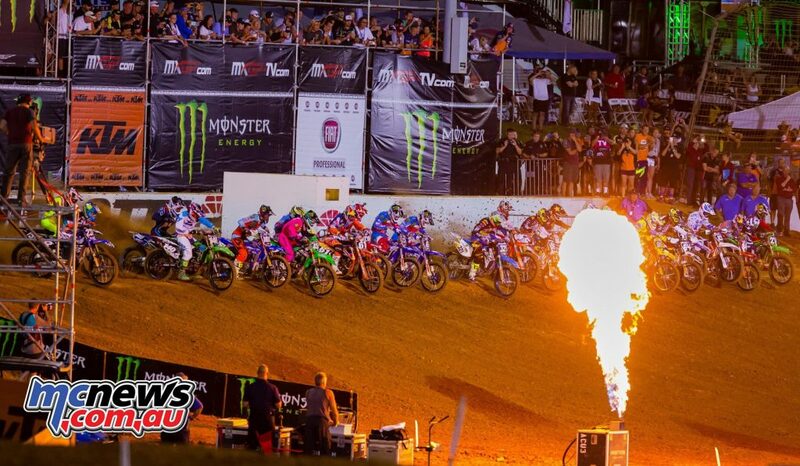 So, who will win the 2016 Motocross of Nations? Putting luck (good and bad) aside, winning the MXoN comes down to the team who is strongest across all three classes and for mind if Cooper Webb (MXGP), Jason Anderson (Open) and Alex Martin (MX2) ride to their full potential without crashes or mechanical failures Team USA will win the 2016 Motocross of Nations – even if it is by the slimmest of margins. And let’s not forget, in the last 31 years Team USA have won the event 22 times under the on-going guidance and management of Roger DeCoster. My thinking is that in the form he is in right now you can put Webb down for two top three rides so for the exercise let’s put him down for six points in the MXGP class while Anderson in the Open class is also a top three runner so again, let’s put him down for six points and that leaves Alex Martin to put in one podium ride in the MX2 class (A-Mart is more than capable of that) which will see Team USA end up on 15 points – is that enough to win? Read On! Team France has won the last two MXoN BUT their down fall this year could well be Benoit Paturel who at the time of writing is sitting third in the MX2 World Motocross Championship and will be participating in his first MXoN. I am buggered if I know why they didn’t pick Marvin Musquin to ride the MX2 class (perhaps MM didn’t want to go back to the smaller bike?) because if you put Musquin beside Romain Febvre and Gautier Paulin (like last year) and it is three in a row for France on a track like Maggiora! The Paturel, Febvre and Paulin combination is still a strong team but can they get below 15 points to win the title? Well, they scored 14 points to win the 2015 MXoN and 17 points to win the 2014 MXoN so it is touch and go whether Team France has a sub 15 point performance in them for 2016. The Netherlands has a good chance of winning if Herlings can score two moto wins (as he expects to do) and Glenn Coldenhoff can garner two top five rides and from there they need their MX2 rider in Brian Bogers to have the ride of his life and get at least one podium in the MX2 class. 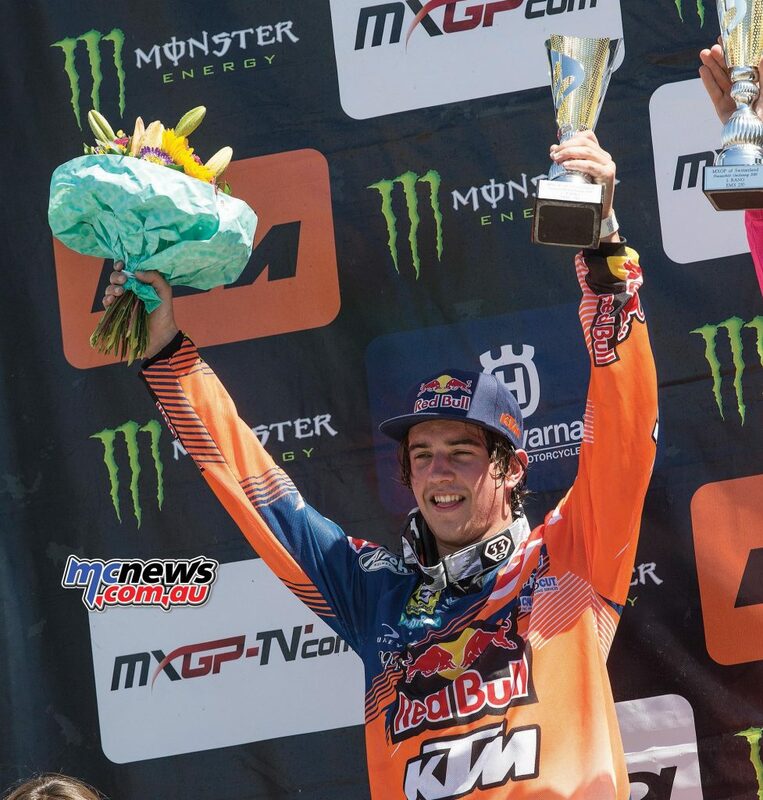 Not inconceivable as Bogers scored two third places for second overall at the GP of The Netherlands recently so if Herlings goes 1-1, Coldenhoff goes 5-5 plus a third from Bogers that is also 15 points. Team Great Britain have won the event 15 times and this year the Poms have Tommy Searle, Max Anstie and Shaun Simpson on deck with Anstie and Simpson both capable of podium finishes and could well jag a moto win in the their respective classes so Team GB will definitely have a chance if Searle can step up to the plate and score one top five finish in either of his motos. Team Belgium has always been strong at the MXoN and with recent GP winner Clement Desalle being backed up by the experienced duo of Jeremy van Horebeek and Kevin Strijbos, Belgium could well be in contention if all three riders fire on the day. Add the fact that all three of these riders have won the MXoN in the past you have to put them in the mix. You can see that the 15 points mentioned above will win the MXoN more often than not but there is something about this event that creates high drama and it usually comes down to an outstanding individual performance from at least one of the winning team riders. For the sake of easy maths let’s say that Dean Ferris, Todd Waters and Jed Beaton all earn 8th in class in each of their motos – that is 6 x 8 which equals 48 points, drop one moto as is mandatory and Team Australia finishes the day on 40 points. Over the last ten years 40 points would have put any team third overall four times (44 points did it for Team Australia in 2011), fourth overall five times and fifth once so what does Team Australia need to do to get on the podium? 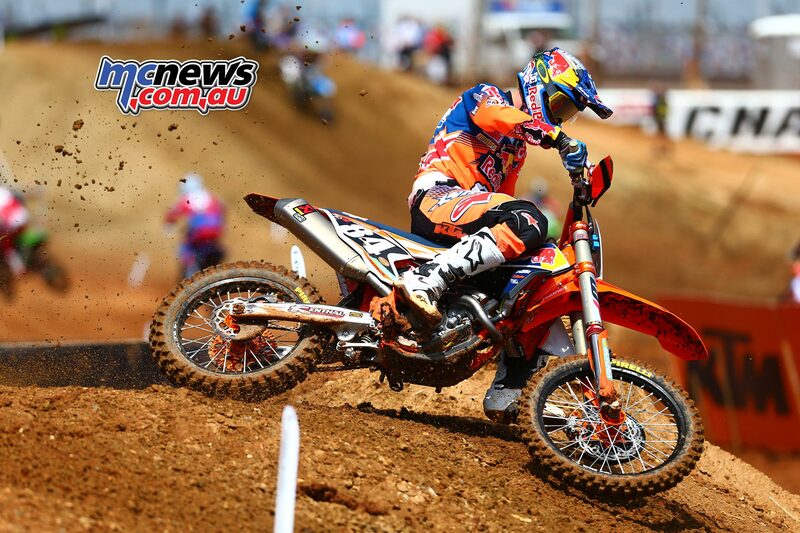 Dean Ferris to come close to emulating his MXoN performance of 2013 (4-5 for 9 Points). Todd Waters to come close to repeating the performance that earned him a MXGP podium at Maggiora in 2015. 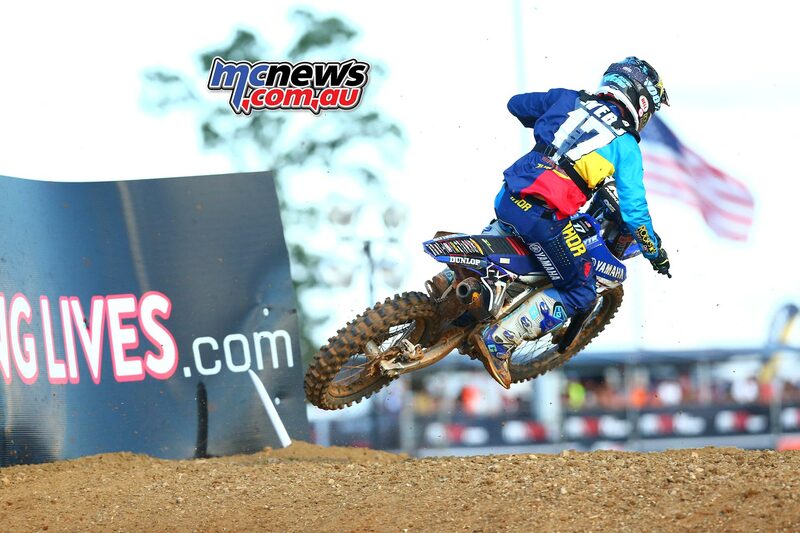 Jed Beaton to get his Yamaha home in the top ten in at least one of his motos. Finally, the circuit: 30 years ago Maggiora hosted the Motocross Des Nations and the ‘Dream Team’ of Johnny O’Mara (125), Ricky Johnson (250) and David Bailey (500) completely dominated all three races on the wide, undulating, jump infested circuit. In fact, O’Mara beat the best 250cc and 500cc riders in the world on his production based CR125 on the day but Maggiora has changed quite a bit since 1986 but it still features steep hills, long floating jumps with a plethora of switch back turns with plenty of passing opportunities so a poor start will not be a complete disaster if the rider is chasing a top ten in his class. Smarty’s Prediction? So all that aside, it is Team USA for a narrow win ahead of The Netherlands, France, Belgium, England and I will cross my fingers for Australia to be in the mix when the chequered flag drops for the final moto, nothing would make me happier for Team Australia to prove me wrong and bring home a podium finish. Good luck to all 126 riders.